Not only can I not spell pfeffernuese, some days I have a hard time pronouncing it. I first learned of pferffernuesse when my dad was stationed in Germany with the Air Force. I absolutely love these little spice cookies. Unlike the traditional cookies, I dip mine in a glaze. This adds a little extra sweetness. In a small saucepan combine molasses and butter over low heat until butter melts. Remove from heat and allow to cool to room temperature. In a medium bowl combine flour, sugar, baking soda and spices. Set aside. In a large bowl combine molasses mixture and beaten eggs. Using a wooden spoon add dry ingredients. Stir until combined. Cover and refrigerate 4 hours, or overnight. Shape dough into 1 inch balls. Place on a greased cookie sheet. Bake at 350 for 12-14 minutes. Allow to cool on a wire rack. In a small bowl using an electric mixer combine powdered sugar, vanilla and lemon juice. Blend until all the lumps are gone. Dip the top of each cookie into the frosting. 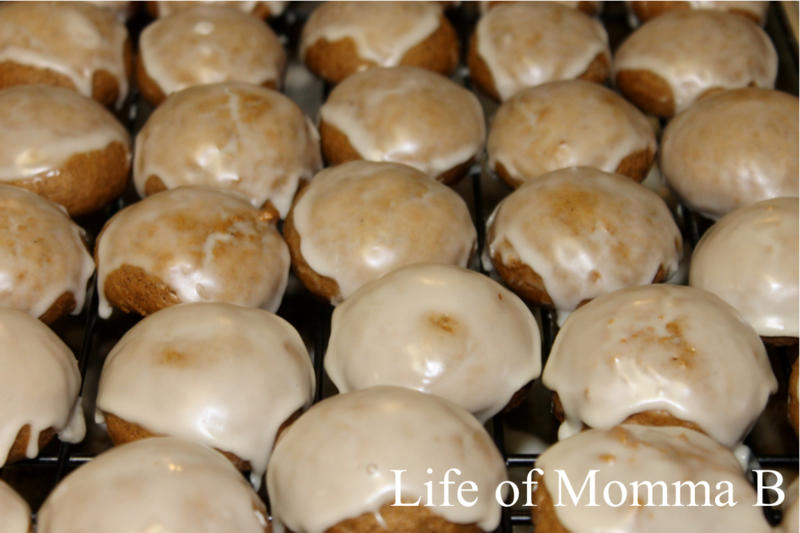 Return to cookie sheet and allow the icing to dry and set before moving them to a sealed container for storage. This entry was posted in Recipes and tagged Christmas, cookies, holiday, printable, recipe card. Bookmark the permalink.